Genting Highlands, January 2017 – Happy Chinese Lunar Year Of The Rooster Year! Thinking of a place to go during this festive season? Why not drop by Resorts World Genting? 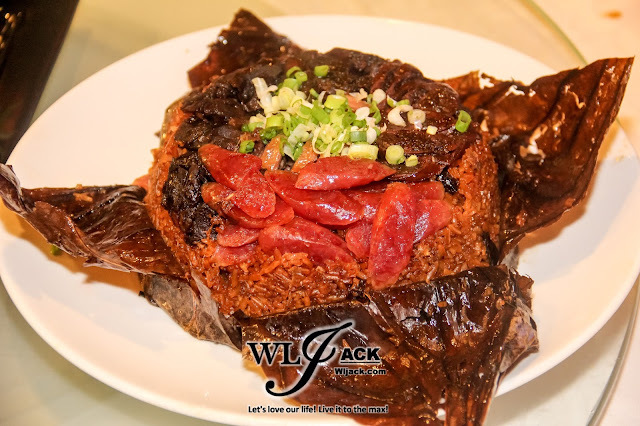 This year, Resorts World Genting provides delectable festive food offerings on January and February. One of the most notable ones is the Chinese New Year Menu at Genting Palace! 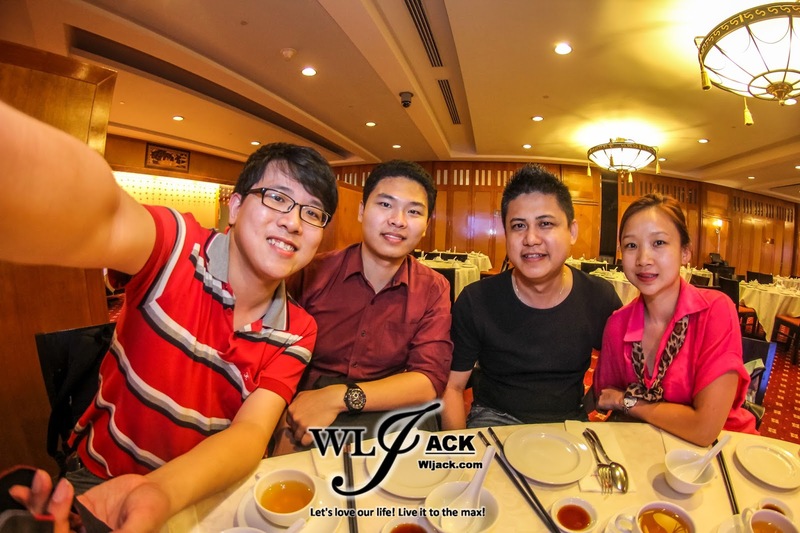 Our team from wljack.com has been given a chance to try out the menu! It was great! 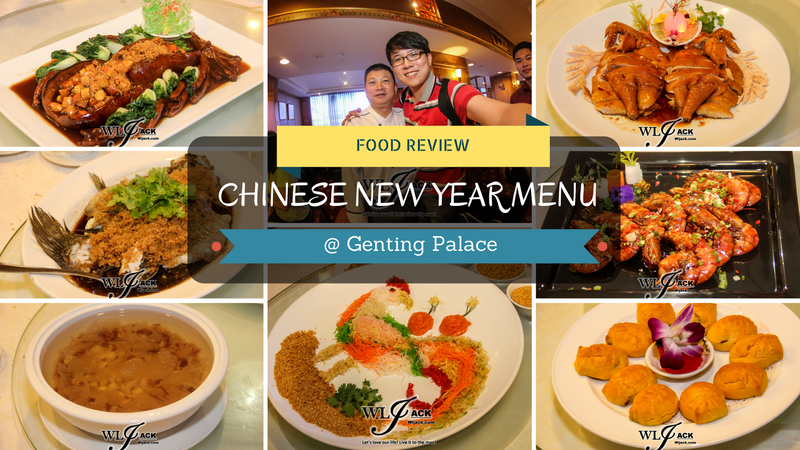 Chinese New Year Menu in Genting Palace! 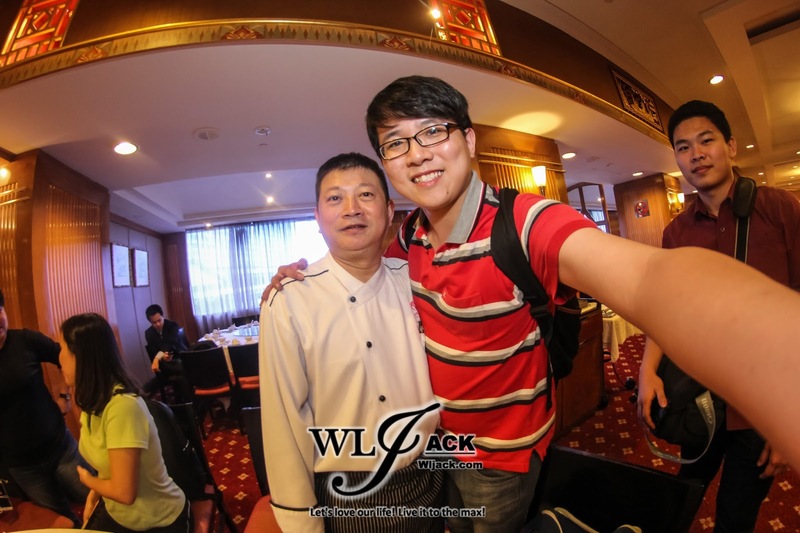 The majestic Genting Palace is a non-halal restaurant with a palatial setting located at 2nd Floor Genting Grand. 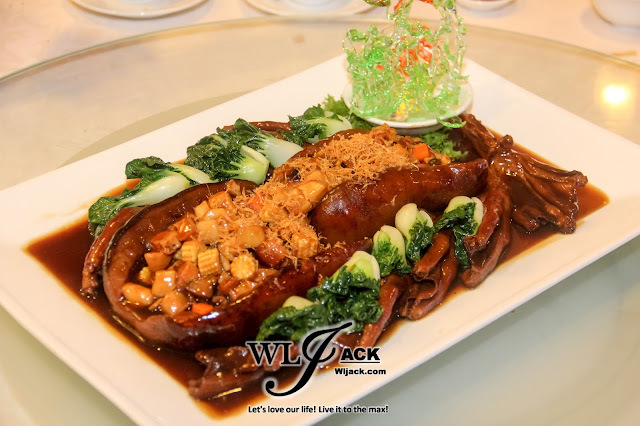 It is currently serving mouth-watering cuisine, a wide selection of dim sum, and vegetarian dishes. 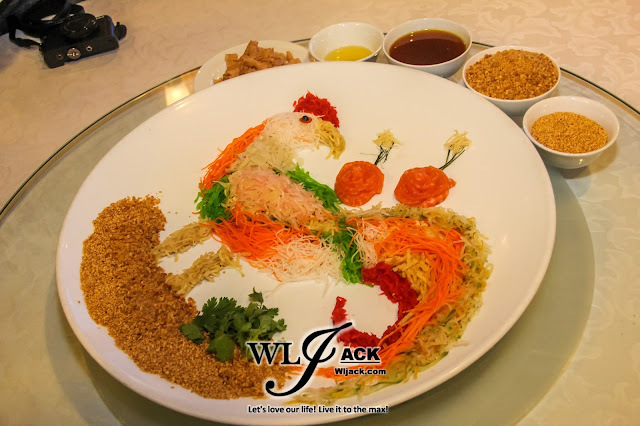 The main attention this January & February 2017 would be the CHINESE NEW YEAR menus that are designed for table for four, six and ten ranging from as low as RM568 nett and RM1,288 nett. 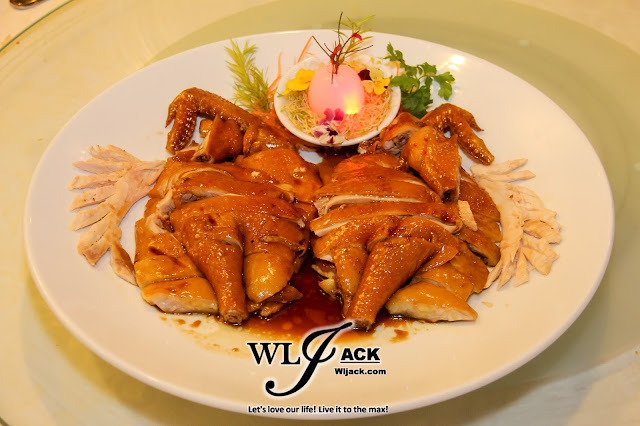 There are also more elaborate menus ranging from RM1,788 nett to RM7,888 nett. 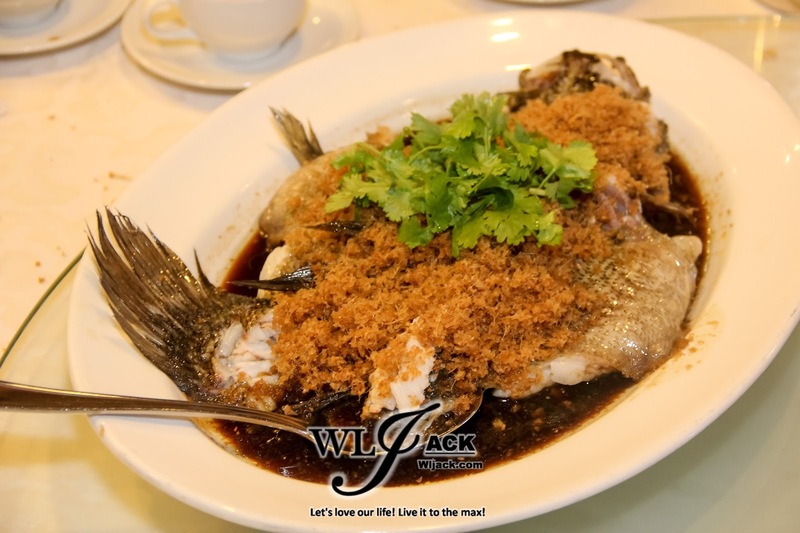 Diners can also order from the a la carte menu. The most exclusive menu is understandably filled with costly ingredients; dishes like Fortune Fong Sui Abalone and Black Caviar Yee Sang, Mini Buddha Jump Over the Wall with Cordyceps Sinensis, Stir-fried Australian Lobster with Fragrant Garlic & Chilli, Steamed Empurau Fish with Finest Grade Mandarin Peel & Fine Soy Sauce, Charbroiled Sea Cucumber with Three-head Abalone in Superior Stock, Lotus Leaf Rice Stewed with Waxed Sausage & Waxed Meat, and Chilled Bird's Nest & Rock Melon with Snow Lotus & Red Date. The basic menu for a table of six, for instance, offers Prosperous Japanese Tuna Yee Sang, Double-boiled Three Treasures with Shark Bone Broth, Steamed River Catfish with Hunan Picked Chilli, Crispy Prawn Ball Salad with Mint Mayonnaise, Roast Duck, Traditional Braised Baked Fish Maw in Claypot, Braised Shanghai Noodles with Scallops, and Sweetened Cream of Red bean with Eight Treasures. All of us really enjoyed the food very much. 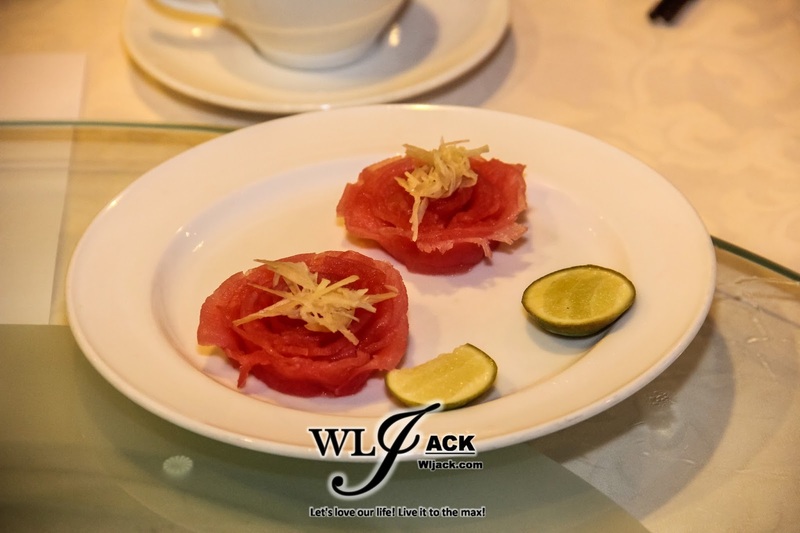 The variety of dishes offered is really suitable for our palates. 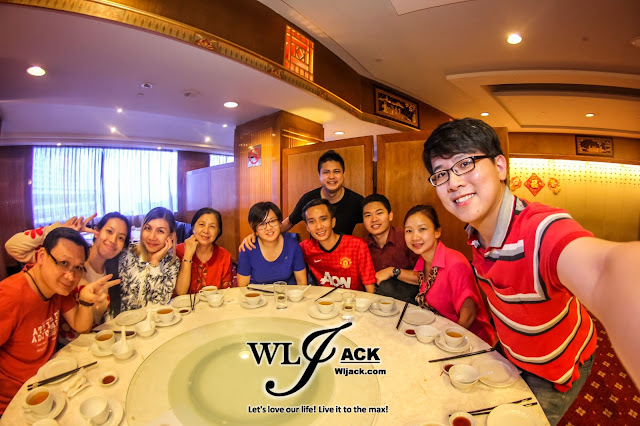 In fact, it is really an amazing experience to dine together with friends and family in the festive season under such an ancient palace-like setting in the cooling weather of Resorts World Genting. 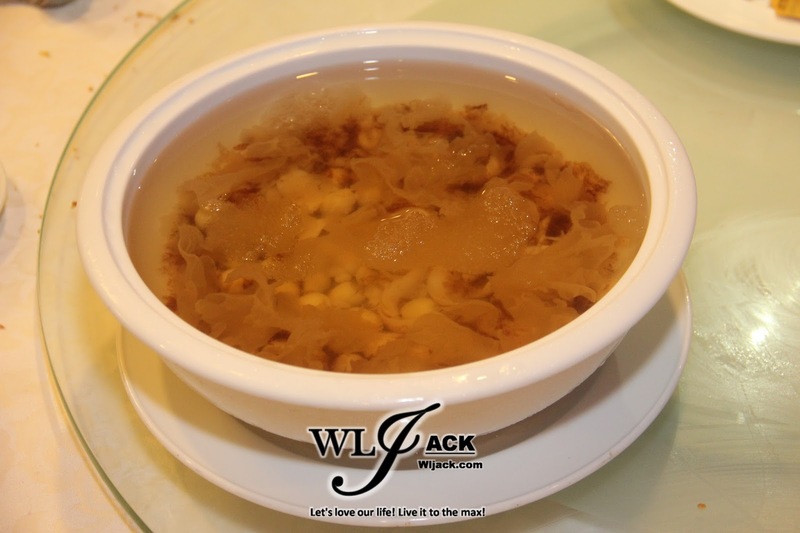 Our favorite dish in the menu would be the Stewed Sea Cucumber with Goose Feet as well as the Pan-Fried Marmite Prawns. 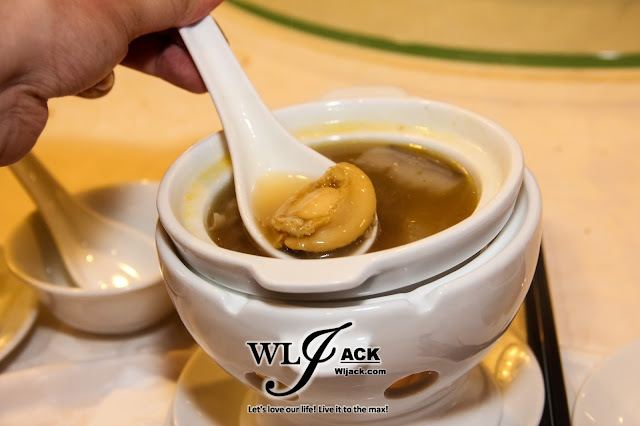 The delicate taste of sea cucumber as well as the Goose Feet is remarkable. 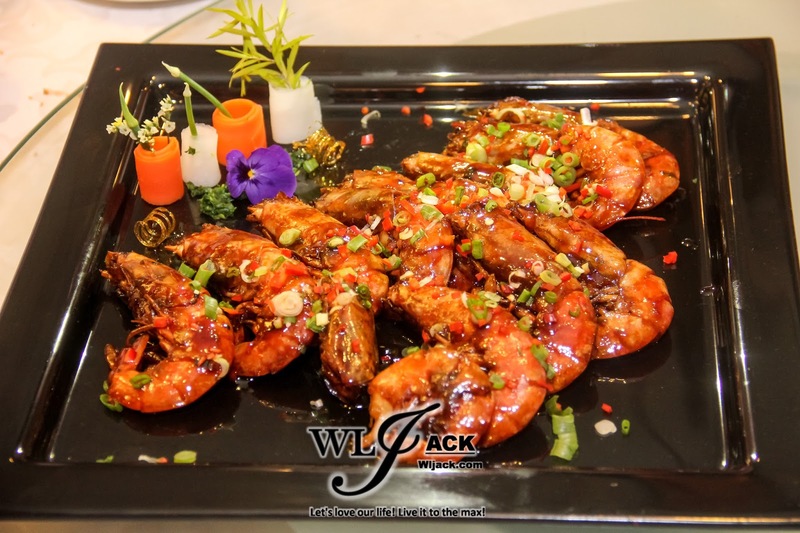 On the other hand, the Marmite prawns were very fresh and tasty. Worth trying! Last but not least, we were also given a chance to try out the specially crafted Pineapple Tarts. It was filled with sweet chewy goodness of premium pineapples. Pineapple Tarts is a must-have for those who are celebrating Chinese New Year as its Hokkien name translated as “Ong Lai” which also means “Good Fortune Coming”. 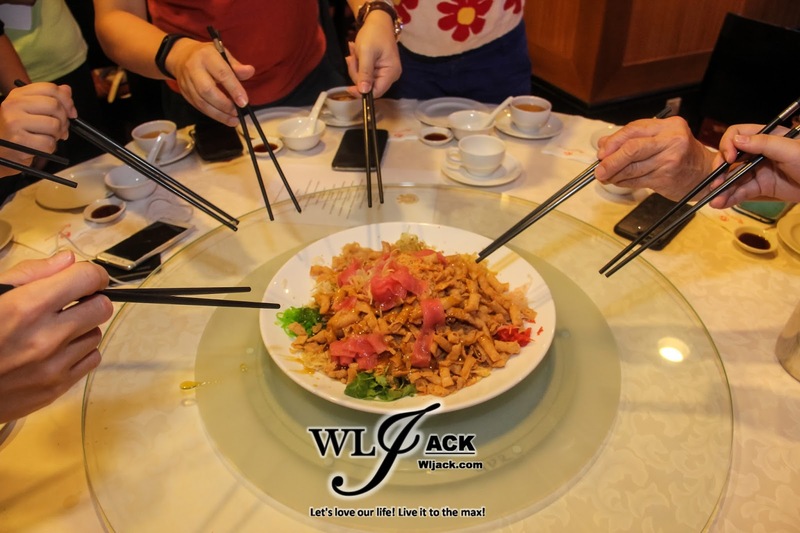 Tasting such a great delicacies in CNY while bringing the good luck, is such a great deal! 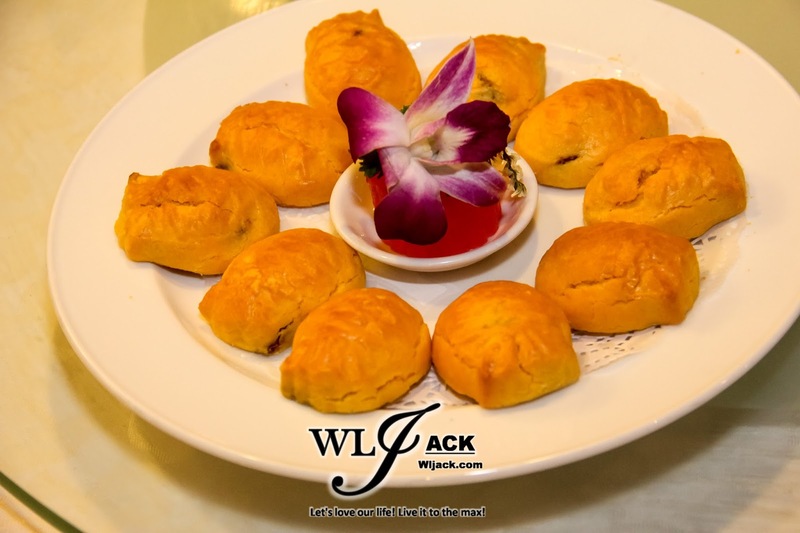 The Pineapple Tarts will be available until 11th February 2017 and it can be purchased from kiosks located at Genting Palace, Good Friends Restaurant, First World Hotel Lobby and Malaysian Food Street, SkyAvenue. The 20-piece container retails at RM 39.00 nett while the 12-piece container costs RM 28.00 nett. (The kiosks are operational from 11am to 6pm daily. These outlets include the award-winning LTITUDE Restaurant, Bar & Lounge, Ming Ren, Imperial Rama, Good Friends, E18teen, Rajawali Coffee House, Coffee Terrace, Food Factory and etc. 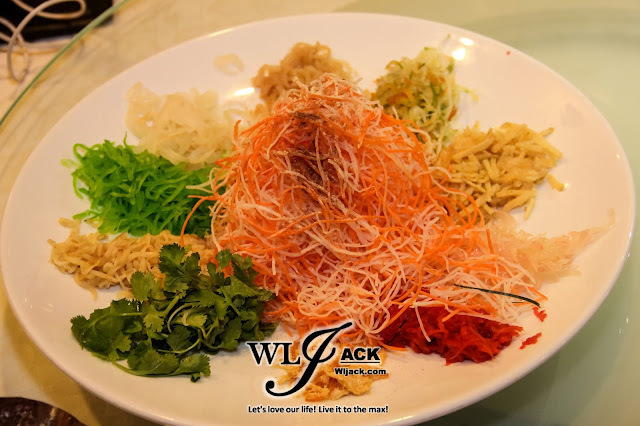 Anyway, Chinese New Year isn't complete without Yee Sang. You can enjoy this when you dine in at Genting Palace (Level 2, Genting Grand), Seasons (Lobby Floor, Genting Grand), Imperial Rama (Level 2, Maxims), Good Friends Restaurant (Level 2, Maxims), Ming Ren (Level 2, Maxims), e18hteen Inspired Dining (18th Floor, Maxims), and Resort Seafood Steamboat (Level 2, Resort Hotel)! Do check it out!